There is absolutely no point in going fast if you can’t stop in time. While most factory brakes can do a decent job on the streets, they can be a hazard when engine power is increased and track conditions are introduced. Performance brakes focus on brake feel, brake fade, and stopping in the shortest distance possible. Brake rotors play one of the biggest roles in stopping power. As the brake pads clamp onto the rotors, friction is generated to slow down the car. To maximize stopping power, the rotors need to be quickly cooled. Vented brake rotors can cool down quicker than solid ones. The vents, slots, and cross-drills in these performance rotors serve as an exit for the gases produced by the friction between the pads and rotors. These performance rotors can store heat under heavy breaking, then quickly cool down when in motion. 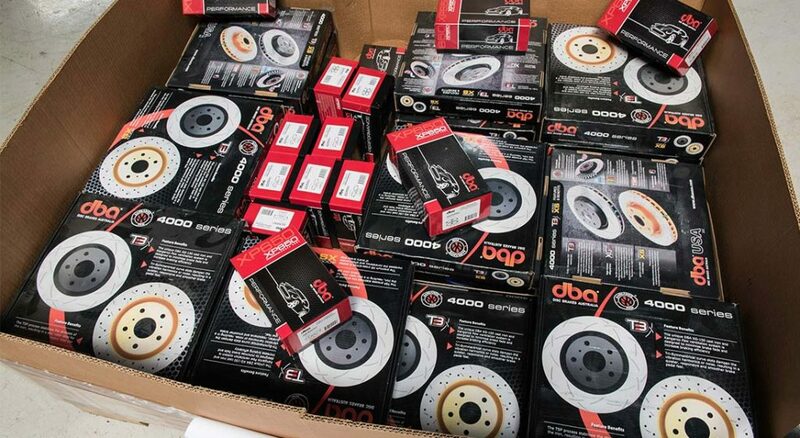 We chose the DBA 4000 Series brake rotors. These pads offer a larger surface area, which results in greater heat dissipation and increase braking effectiveness. 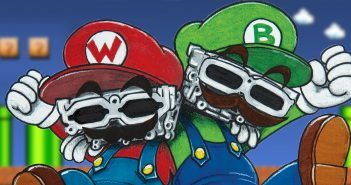 Collaborating with the brake rotors is always a set of brake pads. The friction between the pads and the rotors transforms kinetic energy into thermal energy to bring a vehicle in motion to slow or stop completely. Most factory brake pads are referred to as “organic,” due to the friction material used like glass, fiber, rubber, carbon, and Kevlar. Despite working well on the streets, these types of pads would quickly heat up on the track, wear out, and fade. Performance pads are often referred to as “semi-metallic.” These performance pads contain such material like steel, iron, and copper. These materials help absorb the heat, while maintaining aggressive friction. 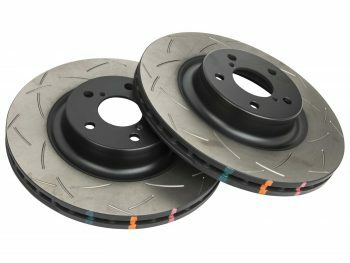 In between the organic and the semi-metallic brake pads, the ceramic pads are a good choice for street cars that occasionally make trips to the track. 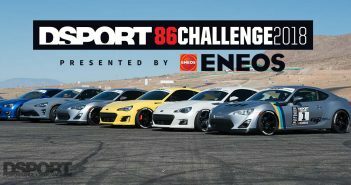 For the 86 Challenge, we went with the DBA XP650 brake pads. These pads can operate at excessively high temperatures, making them a great addition to any track car. DBA USA’s 4000 Series brake rotors feature tri-symmetrical curve slots designed to dampen the vibration harmonics and noise. The CNC-machined slots allow the brake pad friction gasses to escape through. The DBA rotors are designed with an increased surface area when compared to stock rotors, which results in greater heat dissipation. Thermal capacity property is increased with the XG150 high carbon alloyed iron, which allows it to handle more heat for an extended period of time. Thanks to the thermographic temperature monitoring, heat paint markings change color at various temperatures. When temperature thresholdsare exceeded, the paint marks will permanently change. Brake pads are some of the most critical components when driving on the track. 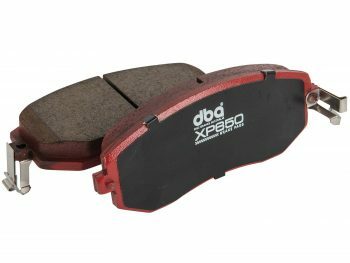 DBA USA offers their XP650 Track/Heavy Load Performance Brake Pads to help racers achieve their full potential on the race track. 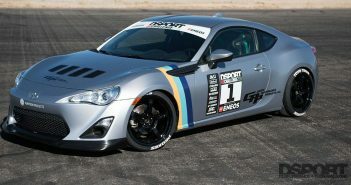 They are designed to withstand more than 1,200˚F (650˚C) thanks to their Kevlar metallic formula, which makes them ideal for grueling track days when high temperature performance is required. The XP650 improves the brake pedal feel, as well as maintains stable friction at heavier loads. Bedding the XP650 can be done quickly due to the scorched finish on the pads’ surface.